I told a friend the other day, "Hey guess what?" She said, "What?" I said, "I made honey in my kitchen today." She said, "You are funny...you will try just about anything, won't you?" My answer, "Yep." Beck told me, "You can take honeycomb out of a bee hive with your bare hands and figure out how to extract the honey, but you can't fix the water dispenser on the refrigerator?" My answer, "Yep." I made honey! How cool is that? And I didn't wear a beehive mask or gloves. 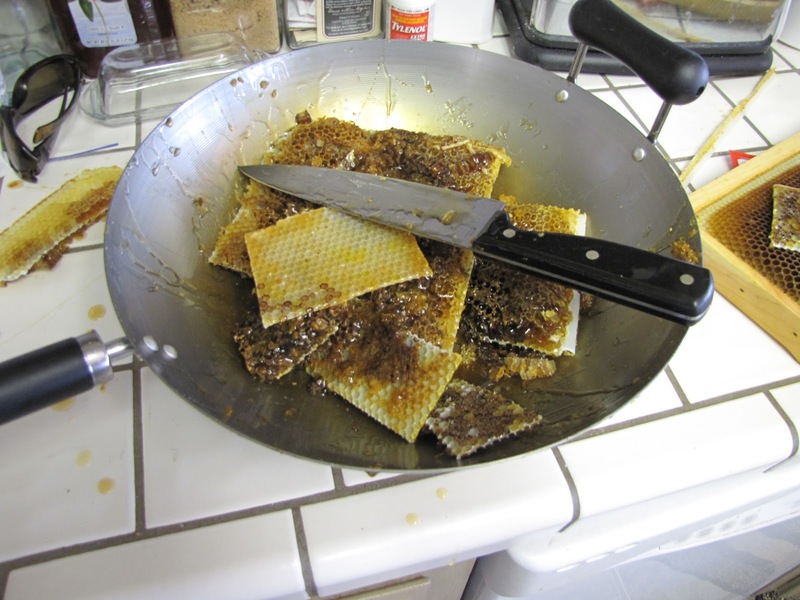 First I smoked the bees with a smoker and pulled out 2 heavy honey comb frames from the hive. Hundreds of bees were on each frame and I brushed them off and made honey in my kitchen. I am a city boy-turned-country and I guess we all know now that I am a little crazy too. 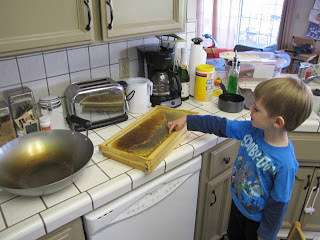 I brought the honey comb from the hive into my kitchen and let LJ lick the honey right out of the comb with his finger. He was loving it. 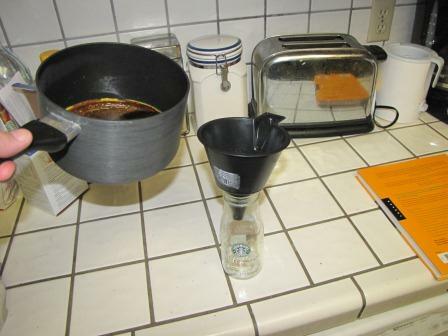 I knew I didn't have money to buy a honey extractor, so I watched a youtube video of this lady who made honey in her kitchen. I saw what she did and went for it! First I cut the comb right off the frame and placed it into a bowl. 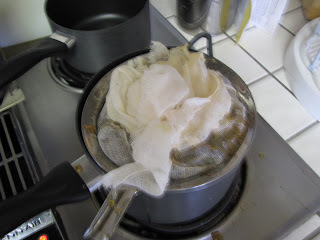 Then I placed the broken up comb in a metal filter over a pot on the stove. 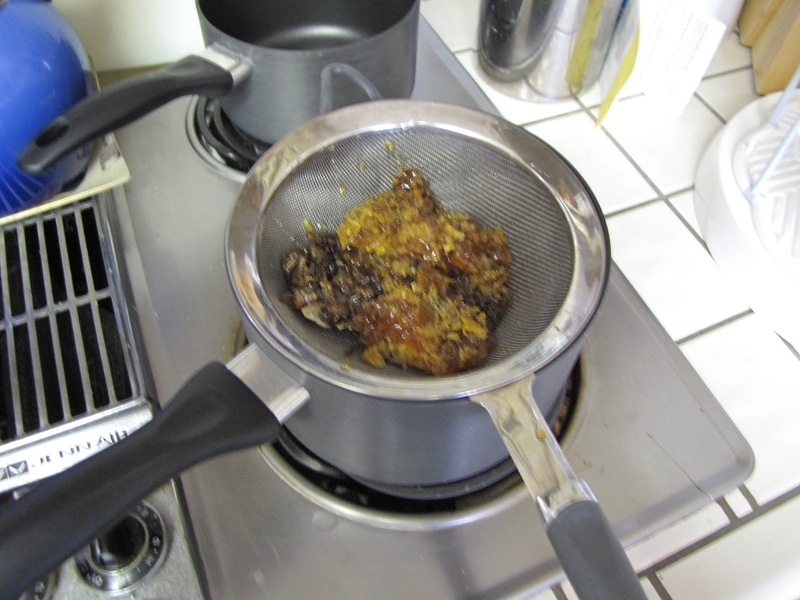 ﻿The purified honey began to drip into the pot. 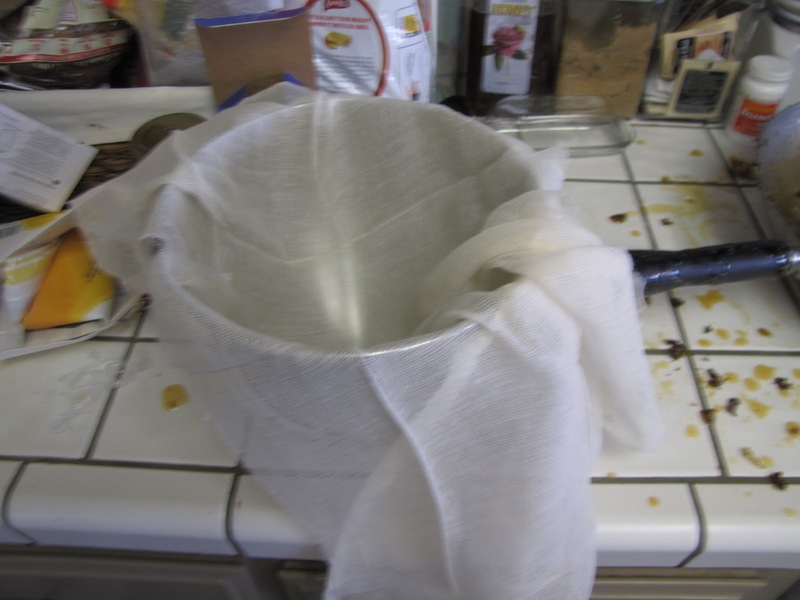 After the initial flow of honey, I put it in cheese cloth and began work it and crush it in the metal filter. I put the pot on the lowest heat and that too helped the flow of the honey. After a couple of hours we were left with a pot full of honey that I put in a jar. A tip: If you are trying this at home use old pots, not nice pots. The pots are a little hard to clean after you make the honey. I am going to try and use disposible products next time. Now you might be wondering where I got this beehive. It's a long story, but we were given the beehive from our friend. All she asked for in return was a jar of honey. Hope you enjoyed it, Shannon!